So I was in the P. Burgos area, otherwise known as the red light district, last weekend. Please don’t judge me. And headed particularly to this small Turkish doner kebab place called Argos. It’s actually been there for a couple years but was given a heads up by a friend of the owners and decided to give it a try. Would there be an influx of Turkish nationals in Manila? As I noticed the openings of Turkish restaurants since a few years ago. Chef Dogan was quite good (when the actual Chef Dogan was still here) but I think it’s location was a factor to its demise. Recently Kitchyart featured Feta. There was also Combo’s in Kalayaan (now closed). But I know of probably a few more in the San Juan/Mandaluyong area that I haven’t tried yet. The good thing about it is that, much like Korean restaurants, most of the Turkish places are small independent operations. Most of the time making use of family recipes. Argos serves food with that same home made, rustic profile. 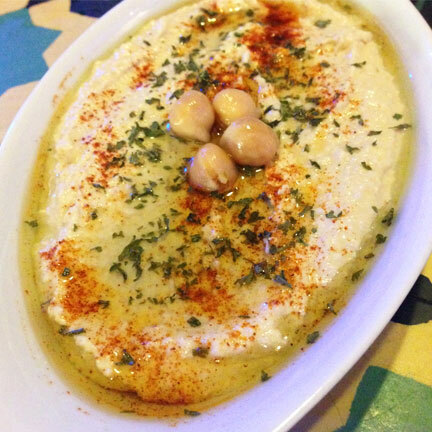 Their hummus was light and creamy and quite brightly flavoured with lemons. Also drowned in olive oil. Not extra virgin but at least they’re generous with the stuff. The kisir, or Turkish style tabbouleh, tasted of the actual cracked wheat and not overpowered by parsley. Nice olive oil flavor to it too. 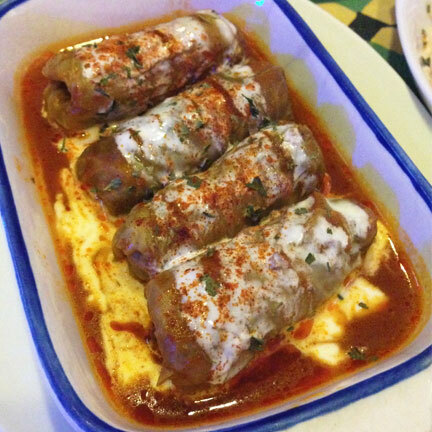 I tried these yoghurt topped cabbage rolls stuffed with rice and minced meat called karma dolma and that was quite nice also. The acidity of the yoghurt just lifting everything up. But their kofta is to die for. Charred on the outside and beautifully pink and succulent on the insides. So tender and juicy with that slightly gamey lamb flavor. 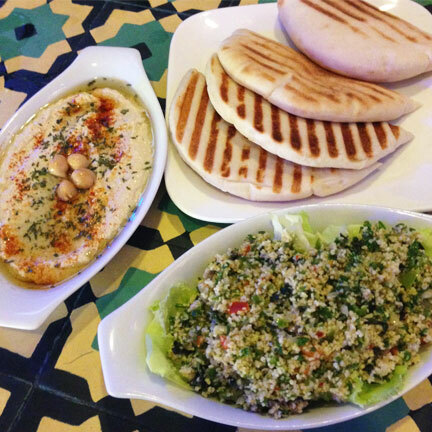 It’s served with dollops of tabbouleh, hummus, a spicy tomato relish and grilled pita. Though you can also opt for rice. These koftas were so good that several hours later, we came back and ordered them again for take-away. 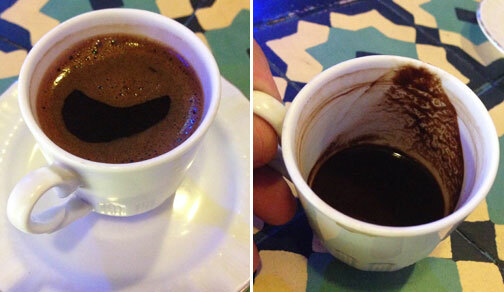 They also serve Turkish style coffee; bold, robust and gritty stuff. An espresso cup was about a fourth of grinds. A door down Argos is a larger establishment called Pasha which shares the same kitchen. A bigger brighter place with a large shisha deck for lounging. But the same great food. This place is legit. 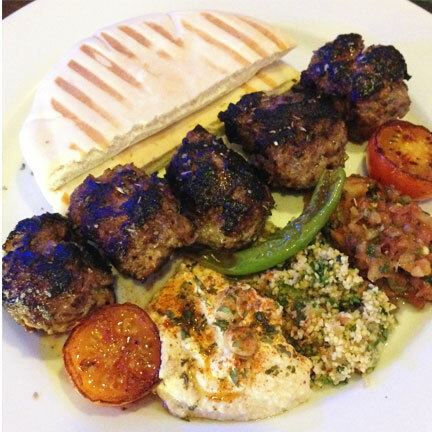 Wow it´s great to know that there are authentic turkish restos in Manila! I will try one of them when come home for the holidays. I myself just got back from a brief weekender in Istanbul and I totally loved the food, especially the kofte and the desserts! Their cream and milk based desserts are too die for and quite similar to our maja blanca and rice puddings. Turkish cuisine, it turns out. also has a lot of delicious and healthy veggie dishes so I hope these resto in Pinas will also offer these, lalo their eggplant dish called musaka which is totally different from the greek moussaka. Plus that delicious okra dish that reminded me with Ilocano style pakbet. Anyway, great food post as always! Hi Anna, if you ever get to Argos/Pasha let us know how you find it. Thanks for dropping by!